Back in 2012, we ran a parent story about her son's difficulties, "When the words move by themselves – it could be Visual Stress." It's also known as Irlen syndrome and it can affect many areas such as academic and work performance, behaviour and attention and it can also cause fatigue and headaches among other symptoms. It's not a problem with the person's eyes, but originates in the brain. Coloured filters or lenses can often help. 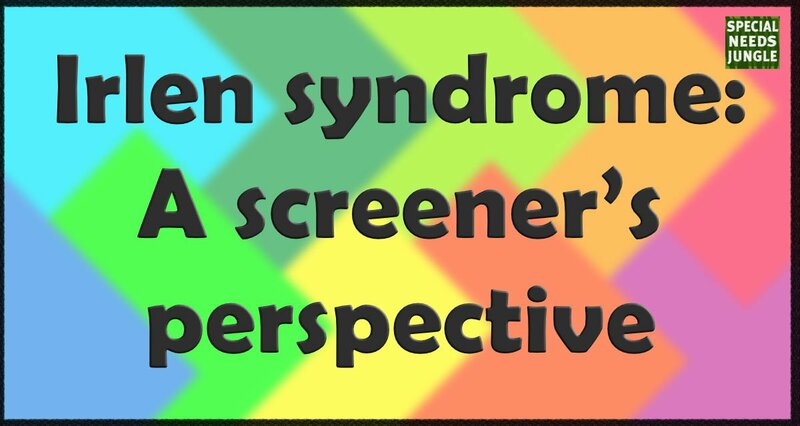 Today we have an article from a professional's viewpoint about Irlen syndrome. 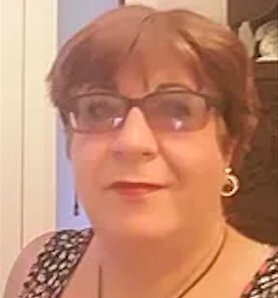 Juanetta Edwards is a Senior Irlen Screener who has vast experience with the condition. We hope you find it useful to read and share. My name is Juanetta Edwards and I have been screening for 16 years in the Kent area. I have Irlen syndrome and am passionate about raising awareness of this disorder. Over 20 years ago, Helen Irlen, an American psychologist, began to study children and adults with learning disabilities and discovered a significant improvement in their reading ability when the page was covered with coloured acetate sheets. This lead to the discovery of a disorder involving the brain’s inability to process visual information- what is now known as Irlen syndrome. There are now 170 clinics worldwide. I have an appointment to screen a 12 year old boy who has struggled in school his entire life; he’s intelligent and knows almost everything there is to know on the subject of ancient Egypt. He was diagnosed with autism at age six, but despite every intervention, he refuses to go to school. He has friends and is well liked despite his social anxieties, but this child has daily meltdowns at the thought of going into the school building. It was only when his mother, desperate to help her son, posted on a special needs forum about her son’s difficulties that another mother mentioned Irlen Syndrome. After reading through the list of symptoms on the internet, she said, “it was like they had described my son”. This is something that I hear of frequently; children who cannot cope in the school environment. Bright fluorescent lights dazzle them to distraction, white walls and paper give them unbearable headaches, the words on the smartboards swim about making it impossible to copy down information. Playtime is no easier. Bright sunshine is blinding and distorts the play equipment, depth perception issues cause a child to have frequent accidents and appear clumsy. At its worst, Irlen can make outdoor physical activity impossible when games like tag and catch become a source of dread. Of course, this is only a small part of Irlen syndrome. Mostly, I screen children and adults who have difficulty reading; often Irlen will co-exist with dyslexia or dysgraphia but not always. Symptoms include eye strain, print distortion, headaches, difficulty following words on a page and consequently this leads to poor concentration, low self- esteem and a short attention span. I also screen many children on the ASD spectrum, often when all attempts to remedy the sensory processing issues have failed; because treating the autism isn’t the answer. Thomas’s Journey with Irlen’ by Elloise Scott. Screening is a fairly straightforward process, it can often be done within the school or at home, wherever the child feels most comfortable. It takes around and hour and a half and involves identifying if and how the child (or adult) is affected and to provide a coloured overlay (or combination of overlays) to assist with reading. A report is also usually supplied. The second stage is referral to an Irlen diagnostician who will assess the child for Irlen spectral filters – a special Irlen laboratory will coat prescription or non-prescription lenses to be worn in spectacles. Contact lenses are also available. It is important to note that the eyes must be tested before the Irlen screening to check vision first. I’d like to know on what basis this statement is made. ASD frequently comes with co-morbidities, including ADD/ADHD, dyslexia, dyspraxia etc. Many autistics also have a sensory processing disorder and Meares-Irlen/Scotopic Sensitivity Syndrome is likely to exist as part of an overall SPD in an autistic individual. It’s very dangerous and I believe wholly inaccurate, to state that some autistics (with the implication that it’s also common) are misdiagnosed when they are not autistic and have Meares-Irlen. An ASD diagnosis is extremely hard come-by (there is a lot of resistance to diagnosing ASD in the NHS due to resistance to providing access to stretched resources, and ASD is the most expensive medical condition in the UK), autistic children especially are assessed and diagnosed by a multi-discplinary team of professionals and you cannot mistake the features of autism. ASD means the individual meets the triad of impairments and there are in-depth parental interviews, school reports, clinical testing and observation, which may take place in more than one setting. Meares-Irlen could not possibly explain such features as literalness, low awareness of danger, difficulties understanding humour and plenty of other ASD traits. It would be extremely rare for a child to be misdiagnosed as autistic, ASD assessments are also supposed to be differential to consider other alternatives. And this is something that is all too frequently misused by professionals to go down a parent-blame route and look for environmental causes. Hence so many parents are forced onto parenting courses instead of assessing their struggling child for a neurodevelopmental condition. I would say it’s far, far more likely that an autistic child is misdiagnosed with attachment problems than misdiagnosed as autistic when they only have Meares-Irlen. There has also been a Spectrum article about how children with a diagnosis of ADHD often have their co-morbid ASD overlooked because the ADHD traits get noticed and mask the autism. Up to 80% of autistics also have ADHD. There is in fact significant underdiagnosis of ASD, especially in females. The gender ratio of ASD is claimed to be around 4:1 male to female, but it’s actually an equal gender ratio which shows you how underdiagnosed it is. In this autism study, http://bjp.rcpsych.org/content/194/6/500.long they state that for every 3 diagnosed children there are another 2 undiagnosed. What seems to happen is that a professional working in a particular discipline, will try to fit all of an individual’s difficulties into the condition that is their own sphere of expertise, through a blinkered viewpoint and a lack of expertise or qualification in an alternative condition. It happened to us with our autistic child’s ADHD, which went undiagnosed because the OT was fitting all her distinct ADHD traits into the SPD (which she also has) diagnosis. I suspect that this phenomenon is what has driven the above statement by this practitioner. PS ~ there is no such thing as “mild” autism. To receive a diagnosis you have to be significantly impaired in your daily functioning by default.